A Q&A with Professor Tim Zick, author of "Speech Out of Doors: Preserving First Amendment Liberties in Public Places" (Cambridge University Press). Christia Rey '10 is first African American to represent Virginia's First Congressional District. W&M law students - Ken Abrams '09, Hunter Allen '10, Heather Stangle '09, and David Tyler '09 - were named national champions at the William W. Daniel National Invitational Mock Trial Competition sponsored by the Young Lawyers Division of the State Bar of Georgia. Geraldine Doetzer, a 2008 graduate of the Law School, is the first full-time Equal Justice America Post-Grad Fellow to serve in Virginia. Their finish as regional runners-up at the New York Bar Association's National Moot Court Tournament in Richmond on Nov. 7-8 earned Brandon Harter '09, Johnny O'Kane '09, and Arpan Sura '09 a berth at the National Finals in February. The new clinic will assist veterans with the filing, adjudication and appeal of service-related disability compensation claims. Marin Hoplamazian '09 is using a scholarship from the Virginia Community Criminal Justice Association to study victim-offender mediation programs in Virginia. New clinic will start to assist veterans with the filing, adjudication and appeal of service-related disability claims in January. Led by its co-chairpersons, Interim Law School Dean Lynda Butler and Professor Dennis Taylor of the Virginia Institute of Marine Science, William & Mary's Committee on Sustainability is up and running full speed ahead. The Election Law Society will operate the VOTEline on November 4th from 8 A.M. to 7 P.M. Students and community members may call the hotline at (757) 221-2890 to seek information regarding their legal rights at the polls. During the conference, Professor Robert C. Ellickson of Yale Law School will be honored with the 2008 Property Rights Prize. Law triumphed - or at least Professor Laura Heymann did - during W&M's annual Raft Debate. Described as a "delicate balance of comedy and lecture," the Debate features four W&M faculty members from diverse disciplines, stranded on a desolate island with only one life raft for escape to civilization. Which faculty member should survive for the sake of humanity? As a first step, the College recently formed a steering committee, co-chaired by Lynda Butler, interim Law School Dean and Chancellor Professor of Law, and Dennis Taylor, Professor of Biological Sciences at the Virginia Institute of Marine Science, to develop, plan and recommend strategies for implementing the College's new sustainability policy. Read a profile of Professor Nancy Combs who was recently honored by the W&M Alumni Association for her teaching excellence. Video lectures and a manual on election law are among the new online resources developed for trial judges, lawyers and the media developed by the Election Law Program. William & Mary Law School is conducting a search for a new dean to take the helm beginning in academic year 2009-10. Professor Christie Warren to head new program at W&M Law. The Center for Legal and Courtroom Technology (CLCT), a joint initiative of the Law School and the National Center for State Courts, will analyze the response of elderly individuals to modern courtroom technology in a Laboratory Trial to be held Sept. 13. The trial will begin at 9 a.m. in the Law School's McGlothlin Courtroom. What makes for excellence in teaching? Come join in the dialogue at the first Herbert V. Kelly, Sr. Panel on Excellence in Teaching on Thursday, September 25, from 3:30 to 5 p.m. in room 127 at William & Mary Law School. Admission is free and all are welcome to join in the discussion and the reception afterward. The event is part of a series of programs devoted to teaching organized by Haynes Professor of Law Paul Marcus. In 2007, Marcus was appointed to a two-year term as the inaugural Kelly Professor for Excellence in Teaching. Professor Tony Arnold, Boehl Chair in Property and Land Use at the University of Louisville, will present a lecture titled "Water Privatization Trends in the U.S.: Issues of Human Rights and National Security" on Tuesday, Sept. 16, at 5 p.m. in room 124 at William & Mary Law School. The lecture is sponsored by the Human Rights and National Security Law Program. Admission is free and all are welcome. Allan Gerson, who served as Senior Fellow for International Law and Organizations at the Council on Foreign Relations, will deliver a lecture at the Law School co-sponsored by the Human Rights and National Security Law Program and the George Taylor Ross Memorial Lecture Series. Entitled "Privatizing Justice: Representing the Victims of Terrorism and Human Rights Abuses," the talk will be presented on Wednesday, September 10 at 5 p.m. in Room 124 of the Law School. This event is free and open to the public. Gerson will discuss the scope of the Alien Tort Statute for addressing human rights violations and whether the ATS is allowing civil suits to encroach on the territory of diplomacy. Patricia E. Roberts has been appointed Clinical Assistant Professor of Law at William & Mary Law School. Roberts was a Visiting Clinical Assistant Professor of Law during the 2007-08 school year. 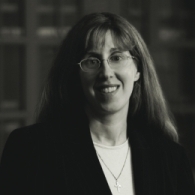 In addition to her duties as a professor, Roberts serves as Director of Clinical Programs and Director, with Professor James E. Moliterno, of the Legal Skills Program. Timothy Zick has been appointed Professor of Law at William & Mary Law School. Robert E. Scott, a 1968 graduate of the Law School, has been appointed to the College of William & Mary's Board of Visitors, Governor Timothy M. Kaine announced today. For more on the new appointments, and reappointments, to the Board of Visitors, click here. Imagine villages in sub-Saharan Africa where people live on less than $1 a day, where school-age children have never attended school, and where children who have never seen a photograph of themselves cannot recognize their own faces in the viewing screen of a digital camera. When he first began studying the war powers of the president and Congress, Taylor Reveley was finishing his last semester in law school and the Vietnam War was well underway. "The more I delved into the respective authority of the president and Congress over our use of force abroad, the clearer it became that there are relatively few constitutional certainties about the war powers," said Reveley of his first research in this area in spring 1968. "I've been hooked on the mysteries of the war powers ever since." Mitchell B. Reiss, William & Mary vice provost for international relations, professor of law, and professor of government, accepted an appointment this month to the Congressional Commission on the Strategic Posture of the United States. Reiss will serve in the capacity of an expert advisor on the Countering WMD Proliferation & Terrorism Expert Working Group. He will take on these duties in addition to his responsibilities at William & Mary. William & Mary Law School has awarded more than $280,000 in public service fellowships to 90 students who are working this summer at private non-profit organizations and government agencies. These students are serving the public good in the United States and in 13 other countries, including Argentina, Austria, Azerbaijan, Cambodia, Canada, England, India, Kenya, Rwanda, South Africa, Tanzania, Uganda and Zimbabwe. Professors Glenn George and Trotter Hardy of William & Mary Law School will lecture overseas in 2009 in China and Portugal, respectively, as part of the Fulbright Scholars Program. The program is funded by the U.S. Department of State and each year sends scholars and professionals to more than 140 nations. Its namesake, Senator J. William Fulbright, championed the creation of the program after World War II to foster "mutual understanding between the people of the United States and the people of other countries of the world." Larry I. Palmer has been appointed Professor of Law at William & Mary Law School and leads the new Virginia Commonwealth University - William & Mary Health Policy and Law Initiative. The presidents of VCU and William & Mary announced the initiative in May. William & Mary College Chancellor Sandra Day O'Connor exhorted members of the Class of 2008 to enter their profession with pragmatism and with a strong sense of ethics - and to do their part in the protection of American judicial independence. Gilbert A. Bartlett, an alumnus of the William & Mary Law School and the College of William & Mary, has been given the 2008 Citizen-Lawyer Award by the William & Mary Law School Association. The award was presented by Association President Mark C. Van Deusen '98 during the Law School's graduation ceremony on May 11. It is awarded annually to a graduate or friend of the Law School who stands squarely in the Jeffersonian tradition of outstanding citizenship and leadership. On May 10, the Law School community gathered in Kimball Theatre with soon-to-be graduates, their families and friends to celebrate the Class of 2008's contributions and achievements. Interim Dean Lynda Butler, joined by faculty, administrators, and a member of the SBA, presented awards and special recognitions. Following the ceremony, class members and guests enjoyed a reception in the historic Wren Building's courtyard. Professor Laura A. Heymann received the 2008 Walter L. Williams Jr. Memorial Teaching Award during the Law School's graduation ceremony on May 11. The award recognizes outstanding teaching and its recipient is chosen each year by the graduating class. Sarah G. Landres '08 and Megan Tumi '08 received the Thurgood Marshall Award for distinguished pro bono work during the Law School's graduation ceremony on May 11. The award goes to a member, or members, of the graduating class who exhibit the ideals of distinguished public service exemplified by U.S. Supreme Court Justice Thurgood Marshall (1908-1993). Amy M. Markopoulos '08 and Isaac B. Rosenberg '08 received the Lawrence W. I'Anson Award during the Law School's graduation ceremony on May 11. The award recognizes a member of the graduating class who in the estimation of the faculty shows strong evidence of professional promise through his or her scholarship and character. It is the faculty's highest award to a graduating student. In her remarks, interim Dean Lynda Butler noted that during the selection process for the award, for the "first time in my long tenure on the faculty, we were torn." "This year," said Butler, "the faculty agreed that two graduating students were equally deserving of the award." Sarah A. Fulton '08, outgoing Student Bar Association (SBA) president, received the George Wythe Award during the Law School's graduation ceremony on May 11. The award is named in honor of George Wythe - William & Mary's and the nation's first professor of law - and is given to a member of the student body for selfless service to the Law School community. A group of law students and law alumni released the second edition of Basic Virginia Law for Non-Lawyers in April 2008. This edition reflects two years of revisions covering changes in the law up to the 2007 Virginia Assembly session. The students and alumni are current or past members of the Legal Skills law firm of Lederer & Posey. Paul R. Verkuil, the twenty-fifth president of the College of William & Mary and a member of the William & Mary Class of 1961, was honored in March as the Law School's 2008 Carter O. Lowance Fellow. During his fellowship, Verkuil taught a course on military contracts and public responsibility and met with numerous students, including members of the Students for Innocence Project and the student division of the Institute of Bill of Rights Law. Verkuil's career was celebrated at a dinner in his honor in the Wren's Great Hall on March 12. Krystle I. Cadogan '10, a graduate student in law and public policy at William & Mary, has been selected by the National Association for the Advancement of Colored People (NAACP) to participate in the NAACP/Kellogg's Law Fellow Program this summer. During her fellowship, she will work on civil rights and legislative issues, spending a portion of her time at NAACP's Washington Bureau, and also will moderate a panel during the organization's Twenty-Fourth Continuing Legal Education Seminar in Cincinnati. The Loan Repayment Assistance Program Committee has selected twelve alumni to receive 2008 awards from the Law School's Loan Repayment Assistance Program (LRAP). Dinah Cohen, director of the Department of Defense's Computer/Electronic Accommodations Program (CAP), spoke in the McGlothlin Courtroom on April 3, and described her office's work in providing equal access for those with disabilities and urged the audience to join in the effort. A photo of the spacious and bright circulation area of the new Wolf Law Library at the College of William & Mary is featured on the cover of the May issue of AALL Spectrum,the monthly magazine of the American Association of Law Libraries. Earlier this month at a ceremony in Virginia Beach, the new library received accolades from the Hampton Roads chapter of the American Institute of Architects, which presented a Design Achievement Award to Hayes, Seay, Mattern & Mattern, the building's architects. The Wolf Law Library opened in summer 2007 after two years of construction. Law School faculty and staff gathered in the Wren's Great Hall for a luncheon on April 23 to celebrate the end of the school year and the contributions of retiring professor Glenn Coven. The Law School moved up in this year's U.S. News & World Report rankings of the best graduate programs in the nation. According to the report released Friday, March 28, the Law School came in this year at 30th, tied with the University of Washington. Last year, the school was ranked at 31st in the nation, tied with Ohio State and the University of Wisconsin - Madison. Sandra Day O'Connor, retired U.S. Supreme Court Justice and Chancellor of the College of William & Mary, will deliver the commencement address at the Law School's graduation ceremony on Sunday, May 11, 2008. The Honorable Henry E. Hudson described his path to public service in the second George Wythe Society Lecture at the Law School on Wednesday, April 9. Best known for having recently presided over the trial of Michael Vick, Hudson spoke to students, faculty members and administrators about the citizen lawyer's "duty to change things, to do things that leave your community better than you found it." Shana Hofstetter, who will graduate from the Law School in May, has been named the 2008-2009 Drapers' Scholar. The Drapers' scholarship is offered each year by the Drapers' Company of London, enabling one student from each graduating class of William & Mary Law School to earn an LL.M. degree at Queen Mary College of the University of London. In turn, the Law School welcomes a Drapers' Scholar each year from the U.K.
On Friday, February 8, the Class of 2010 packed standing room only into Room 120 for an exclusive chance to ask College Chancellor Sandra Day O'Connor questions about her life, the court, and her role on it. Christie S. Warren, who served as an advisor during the drafting of Kosovo's Constitution, will participate in the historic signing of the document April 7 in Pristina, Kosovo. Warren, Senior Lecturer in Law and Director of the Law School's Comparative Legal Studies and Post-Conflict Justice Program, was one of three U.S. advisors to provide counsel and guidance to Kosovo leaders during the constitution drafting process. The Consumers Union, the nonprofit publisher of Consumer Reports, has named Alex Chasick '08 its Esther Peterson Public Interest Fellow for 2008-2009. Chasick will assume the one-year fellowship at the organization's Washington, D.C. office in September. The fellowship focuses on consumer advocacy projects such as: health care reform, product safety, access to affordable financial services, food safety, telecommunications, and other consumer issues. Jonathan D. Moreno, the David and Lyn Silfen University Professor and Professor of Medical Ethics, History, and Sociology of Science at the University of Pennsylvania, will receive the 2008 Benjamin Rush Medal for his outstanding contributions to the advancement of American health in a ceremony in the McGlothlin Courtroom at the Law School at 1 p.m. on Friday, April 4. The Benjamin Rush Laureate is chosen by the Benjamin Rush Scholars, a select group of law students who have distinguished themselves by their research in the "Health Law and Policy" class. April 18 Symposium to Examine Law and Religion in the U.S.
On Friday, April 18, the J. Reuben Clark Law Society and the Institute of the Bill of Rights Law will host a symposium titled "The Williamsburg Charter Revisited: Significant Developments in Law and Religion Since 1988" from 1 to 4 p.m. in room 119 of the Law School. Admission is free and all are welcome. During the event, preeminent scholars and a leading attorney will discuss significant developments in Constitutional jurisprudence in the past 20 years with a focus on how interpretations of the First Amendment's Establishment Clause have affected religions and churches in the United States. William & Mary Moot Court team members Tom Robertson '08, Dan Kruger '08, and Alex Brodsky '09 were awarded first place at the annual Craven Moot Court Competition held at the University of North Carolina - Chapel Hill. The team competed Feb. 20 to Feb. 23 and walked away victorious against a Boston College Law School team after beating rivals South Texas Law School in the quarterfinals. The team came out on top of a field of twenty, with competitors coming from schools like University of Pennsylvania, Duke, and George Washington University. Clayton Gillette, Greenberg Professor of Contract Law at New York University School of Law, will discuss the impact of public debt on democracy as part of the George Wythe Lecture Series hosted by William & Mary Law School. Free and open to the public, the lecture will be held on April 3 at 3:30 p.m. in Room 124 of the Law School. In fall 2006, students at William & Mary Law School founded the Election Law Society. The society is dedicated to exposing law students to the growing field of election law, both through speakers and classes. It also serves the community by acting as a local resource on election information and election law. The 37th annual William B. Spong, Jr., Invitational Moot Court Tournament was held on February 15-16 at the Law School. Nineteen schools, coming from as far away as North Dakota and Utah, competed in the tournament. The tournament was won by Regent Law's Leo Lestino and Rachel Williams. The runners-up were from South Texas College of Law, a team made up of Kathryn McFarland, Michael Long, and David Abrams. University of Virginia's Jonathon Wolfason won Best Oralist, with his teammate Dean Razavi placing second. William & Mary Law Professor Michael Stein will present the Law School's annual Blackstone Lecture on Thursday, March 20, at 3:30 p.m. in the Law School's McGlothlin Courtroom. The lecture is titled "The U.N. Convention on the Rights of Persons with Disabilities: The First Human Rights Treaty of the Twenty-First Century." Admission is free and all are welcome. William & Mary Law School will present a panel discussion, "Unique Legal Issues in Today's Special Education System that Affect Students, Parents, Teachers, and School Systems," March 12 from 5:30 to 7:00 p.m. in Room 127 of the Law School. A question and answer period will follow. The forum is sponsored the Children's Advocacy Law Society and is free and open to the public. A reception with the speakers will immediately follow the lecture. Myrna Perez, Counsel at the Brennan Center for Justice of the New York University Law School, will present a talk titled "Broadening Voter Participation in 2008 and Beyond," on Tuesday, March 18, from 1-1:50 PM in Room 127 of the Law School. The talk is sponsored by the American Constitution Society and all are welcome. The Law School Chapter of The Federalist Society will host guest speaker Francois-Henri Briard on Tuesday, March 11, from 1 - 1:50 PM in Room 137 at the Law School. Free and all are welcome. Cutler Lecture: Has the Modern Presidency Diverged From Its Constitutional Role? On March 27, William & Mary Law School will host Saikrishna Prakash, Herzog Research Professor of Law at the University of San Diego School of Law, who will deliver the 2008 Cutler Lecture. Free and open to the public, the talk will be held at 3:30 p.m. in Room 119 of the Law School. Mississippi's Gulfport Municipal Court and the Center for Legal and Court Technology (CLCT) jointly announced on Feb. 29 a unique cooperative agreement under which CLCT will assist the Municipal Court in its ongoing effort to recover from the effects of Hurricane Katrina and to become a national model for municipal courts. On Wednesday, Feb. 27, the Federalist Society will host Bob McDonnell, Attorney General of Virginia, from 1 - 1:50 PM in room 127. McDonnell has been invited by the chapter to discuss Virginia politics. Mark your calendars! The Fourth Annual Ali's Run, a 5K run/walk, will start at 10 a.m. on Saturday, March 15. The race benefits William & Mary's Alan Bukzin Memorial Bone Marrow Drive and will begin and end in Bicentennial Park on Newport Avenue in Williamsburg (one block from the Law School). The Law School's Bone Marrow Drive Committee first sponsored this event in 2005 in honor of Ali Kaplan, daughter of Associate Dean Rob Kaplan. Ali died in 1997 when she was 12 from aplastic anemia. Mitchell Reiss, the College's Vice Provost for International Affairs and Professor of Law, leads a delegation this week in the Republic of Korea (ROK) unveiling a report on the US-ROK security partnership for the country's President-elect, Lee Myung-bak. The report, "The Search for a Common Strategic Vision: Charting the Future of the US-ROK Security Partnership," is the product of a multiyear, bipartisan, bi-national "strategic dialogue" of American and Korean foreign policy experts. In looking into the future - and at the complex security challenges that await - the report says a revitalized US-ROK alliance will be more, not less, important to the U.S., the Republic of Korea, and the region. A student Note published in the William and Mary Law Review by James J. Bilsborrow '08, the journal's Senior Articles Editor, has been cited in four dissents issued by the United States Court of Appeals for the Sixth Circuit. His note, Sentencing Acquitted Conduct to the Post-Booker Dustbin, 49 Wm. & Mary L. Rev. 289 (2007), was cited by Judge Gilbert S. Merritt, dissenting in United States v. Sexton, 2008 U.S. App. LEXIS 484 (6th Cir. 2008), United States v. Thompson, 2008 U.S. App. LEXIS 2936 (6th Cir. 2008), United States v. Phinazee, 2008 U.S. App. LEXIS 2697 (6th Cir. 2008), and United States v. Sedore, 2008 U.S. App. LEXIS 869 (6th Cir. 2008). Chancellor Professor of Law Lynda L. Butler was named interim Dean of the William & Mary Law School effective Feb. 12. Butler was named to the position following the announcement by the Board of Visitors that Law School Dean Taylor Reveley will serve as interim President of the College of William & Mary. On Saturday, Feb. 23, 2008, the Law School will host a symposium titled "Not That Kind of Girl: The Legal Treatment of Women Defying Traditional Gender Roles." The symposium is sponsored by the William and Mary Journal of Women and the Law and will be held from 9 a.m. to 4 p.m. in the Law School's McGlothlin Courtroom. The symposium is open to the public and there is no registration fee. Pre-registration is helpful and is available by calling the Journal office at 757-221-3799 or by email at camurp@wm.edu. The William & Mary Law School's Election Law Society will present its Second Annual Election Law Symposium on Thursday, Feb. 21. The symposium is co-sponsored by the Institute of Bill of Rights Law and the Election Law Program. Featuring experts in the field of election law, the conference is built around the theme "2008, 2012 and Beyond: The Law, Politics and Future of the Presidential Nomination Process." Admission is free and all are welcome. Twenty William & Mary Law School students are choosing to spend their spring break, March 1 through 9, wielding hammers, reviewing contracts, and working with community organizers rather than slathering on SPF 15 and reading the latest best-selling novel. The W&M chapter of the national Student Hurricane Network has organized the trip to offer continued aid to the flood- and hurricane-ravaged Gulf region. William & Mary Moot Court team members Johnny O'Kane '09, at right, and Lawrence Perrone '10 were awarded first place in the 2008 Tulane Law School Mardi Gras Invitational Sports Law Competition on Feb. 1, after three days of oral argument. William & Mary gained the title by defeating the University of Wisconsin before a nationally recognized panel of experts in sports law at the John Miner Wisdom Memorial Courthouse, seat of the U.S. Court of Appeals for the Fifth Circuit, in New Orleans, LA. The national sports law tournament drew a field of 36 teams from across the country, including competitors from NYU, Duke, and the University of California (Hastings). 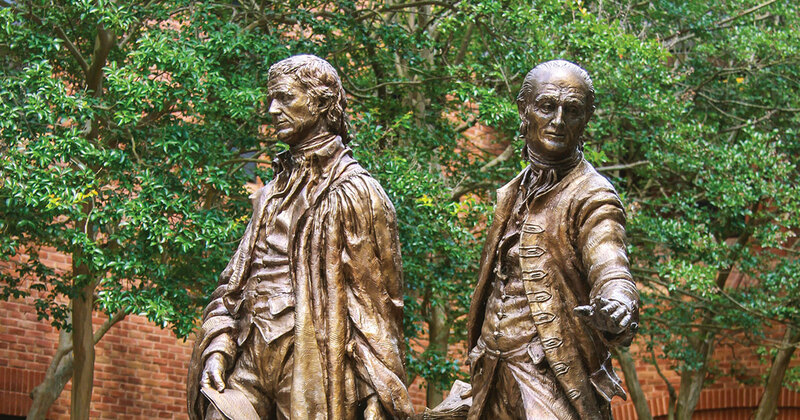 William & Mary Law School's five Benjamin Rush Scholars will present papers addressing issues in health law and bioethics during the Benjamin Rush Symposium on Feb. 11 - 15, 2008. Each year, a select group of students who have distinguished themselves by their research are designated as Rush Scholars. Major General Charles Dunlap, Deputy Judge Advocate General of the U.S. Air Force, will discuss "National Security Law in the 21st Century: A Practitioner's View" on February 13 at 5 p.m. in Room 127 of William & Mary Law School. Free and open to the public, the talk is part of the Distinguished Lecture Series sponsored by the Human Rights and National Security Law Program.